Can anyone explain why there's such a huge focus on the japanese market for this game? The game is noticeably popular in the west and there's clearly a market for it here, so why does it need to be popular in japan to get more releases? I understand they won't make games if there's no market for them but they also seem aware that there's a market for them over here. I don't get not making a product you can sell because it doesn't sell in the place you want it too. Returns actually sold more copies in the US than Japan but Returns was also viewed as a failure. But hopefully the DLC numbers will be high enough for Spike to justify keeping the dev team around instead of calling it a day on the Fire Pro experiment. 4Gamer: Have you two (Tomoyuki Matsumoto and DDT wrestler Danshoku Dieno) seen each other since the Q&A event from last year? DD: Ah, that's right. Maybe we should start things off from there? It's been a year since the 'Firepro Will Come Back!' Q&A session, and we've finally gotten the PS4 version. In the year between then and now, there was a version on PC in early access and an official service, so first of all I'm wondering what the response has been like. TM: People have gotten fired up about the versus play and edit wrestler creation. There are a lot of people enjoying the game, and I appreciate the PC player base, but at the same time, I think that the game did not grow as much as I expected it would. DD: By which you mean the sales figures, right? TM: When it comes to the number of Japanese players, that is the case. We know for certain that Firepro is a Japanese game, and it makes me glad to see so many Japanese wrestling fans playing it, but about 70-80% of our player base is overseas. DD: When you announced the series' resurrection, of course, there was a great response to the news here in Japan. TM: Right. We could hear the voices going, "I've been waiting for this!" and "I REALLY want this game," but when we launched it on Early Access, what we actually heard was just, "Huh? What's that?" But, I think it's because we launched on PC. 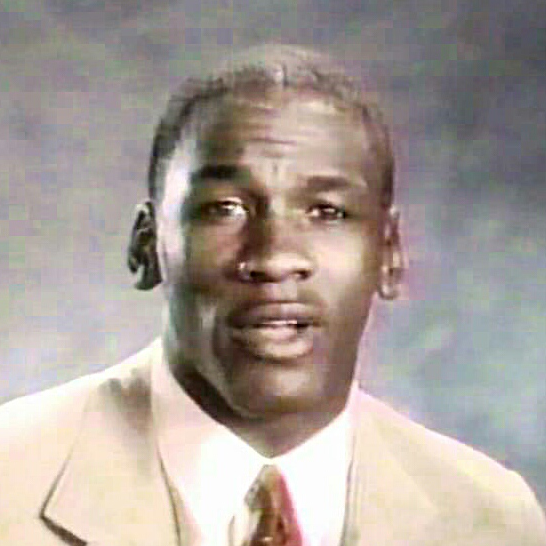 As a core fan of Firepro, you get the sense that, "Firepro should be played on a TV." And there are people of all ages who feel like playing a game on a computer is a hurdle in and of itself. DD: That's a good point. If you don't already play computer gaymes, you'll probably ask yourself, "What is Steam?" 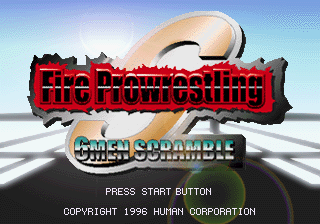 I guess that people feel strongly that Firepro is a gayme to be played on a TV set. TM: On the production side, you can say we were strongly aware of that mindset, and it was for that reason why we tried to show that you can play PC games properly on a TV screen too. In retrospect, maybe we didn't do a good enough job of that. DD: In that sense, I guess that the timing of the PS4 version's release was a case of make-or-break. What was the meaning behind the one year wait between the PC and PS4 versions, I wonder? TM: We had a rough idea of when we wanted to release the game on PS4, so we started counting back to an early access release date from that date. DD: As I thought, you started off with the intent of making it a "video gayme" first and foremost. TM: Right. I had decided that we would need at least a year to complete the game. Because Spike Chunsoft themselves had decided they needed a brand new title to be released on Steam, this ended up being their first time doing so. 4Gamer: Although Spike Chunsoft had ported over the Danganronpa and Zero Escape Series, they had never put out a brand new title on Steam, had they? TM: Right. We had to factor in questions such as, "At what stage do we release the game, and how do we weigh fans' opinions," and "Depending on how events play out, will the fans be satisfied?" From the start, this Firepro was a challenge from the company, unlike one we had faced before. DD: That sounds like quite a lot of challenges to face, when working on something that had up until now been a video gayme at its core. And all in one year ... though if you include the rest of the development period, it must have been even longer than that. TM: It was around two years, yes. DD: Then, during that period, did you face any major changes? 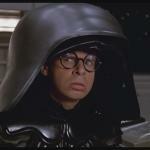 Such as, say, a sudden change in the development environment or in the situation... Anything that makes you think that the situation has changed a lot from how it was at the start. TM: I see. Well, to start, we had to change development companies. DD: ... That's a serious topic to mention all of a sudden, but I'd like to know what happened there. Why did you do that? TM: It's kind of hard to explain, but... Basically, although it looked like things were moving smoothly on the surface of the game, when checking the source code, there were portions of code missing; and that problem persisted. To give an easy to understand example of what I'm talking about -- the development group had not coded in any answer to a problem where, if there was a tie in the league rankings at the end, how would the game decide how to break the tie? 4Gamer: That's a pretty important part. TM: Naturally, I told the development team to work on coding that. But even when I came back to check on whether this was done, the developers had not fixed the problem. Because this happened over and over again, work wasn't proceeding, and if we didn't cut off this course of events quickly, we would miss the deadline for the PS4 version of the game. TM: Yes. I've been in the games industry for 20 years now, and I had never seen this situation before. I forgot whether this was in a Tweet I had made or an article written, but word spread out that I seemed to be complaining under my breath. I ended up being scolded by others telling me "You're doing a bad job." Of course, I am the game's director, so it was my responsibility... so it was a rough situation in that respect. DD: I've been in a similar place as you, so I understand that feeling well. If you want to make something, you can't do it alone - so you have to place your trust in others. If those relationships built on trust collapse, so does your mental state. TM: That's exactly right, and so I ended up feeling distrustful of everyone. Because so many members of the team had left, the remaining development team members faced more and more hardships, it was harder to proceed with work, and the development schedule became even more harsh. DD: I've heard of things like this happening in the past... but how'd it happen? TM: Hmmm... Well, you could say that we were all afflicted by a firepro "sickness" that spread about the offices. DD: So by overcoming that sickness, I wonder if your feelings turned to passion and love for FirePro? TM: That was exactly what happened in a large way, because we had a chance to spend two years thinking, "FirePro isn't supposed to be just this. It's something more than this." With such a major incident happening in development, I find myself feeling sorry for making everyone wait so long for various reasons. But, I'd like to think that the end result is that we shaped the game into a form that the fans can appreciate just a little more. If it takes 3 days to make a move perhaps a better system/software should have been developed or just open it up to this community. I had no idea it took that much effort to make a game that can play on older generation consoles. Definitely sounds like doom for the firepro series. When you start upsetting the core niche fan base, your are going to have issues. I wonder if they will even get all the promised dlc out. I am definitely avoiding the season pass. It took about as much time for members of the move team (for small moves), and we're not doing it as a job. Regardless of how the game looks, the process of creating move animations is not easy; I think we need to move past the graphical presentation and understand that there are a lot of moving parts. It takes about as much time for members of the move team, and we're not doing it as a job. Regardless of how the game looks, the process of creating move animations is not easy; I think we need to move past the graphical presentation and understand that there are a lot of moving parts. Yup. Animating moves is extremely complicated. 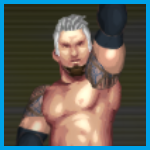 Almost makes me wish that they did 3D models in a 2D style for the wrestlers while keeping everything else the same. Also the Season Pass stuff will be done. There's no worry about that. Fire Promoter is almost complete and it shouldn't take them that long to complete the Junior Heavyweight scenario. The real question is what happens after Q1 2019 when the third piece of DLC is completed. Will they try to port to another system like the Switch? Will they do a second season pass? Will Spike pull the plug? It all seems up in the air at the moment. In relation to that translated segment, I really hope we get a hard knocks arc in Fighting Road so Matsumoto can channel his frustrations and distrust during that time into a playable format! Maybe when you start to become popular, the wrong choices will lead to your momentum falling flat and Osaka the main fan base end up hating. Would be a good way to score relationship points with Naito, as he gives you advice on how to deal with the situation, finally ending in an offer to join LIJ. Man that’s gotta be rough to deal with. From 2007 until 2017, it genuinely felt like we'd never get another new Fire Pro game again. If you were in the community then, you know how it has felt over the past year to load up FPW every day and look at true glory. I've never taken this game for granted, no matter how frustrated I may have gotten at some things. Firepro was dead. Those of us who were around for FPR (and before) watched it die a slow, forgotten death, and knew we would never see a new games of its like again. Like Eddie Lukin also said, the thing I wanted to do most if I won the lottery was buy the rights to Firepro and hire people to make...essentially exactly what we have. I really thought that would be the only way we'd see Firepro alive again. Having it actually come back has been one of the greatest (entertainment-related) things I've ever seen happen. I really, really hope that some poor decision-making and iffy programming in the PS4 release doesn't completely sink future support for this game, but it's certainly not going to cause me to stop supporting it. Will I buy all the future DLC? HELL YES, I'll buy all the future DLC. If I could sign up to support them on Patreon, I would. If they held a Kickstarter to fund future moves and/or features, I'd jump on it. I'll give this game whatever support I possibly can, to get as MUCH OF IT as I possibly can, because I really don't think they will make another after this. BUT - if they're smart, and they set us up well, and we get as much of a running start as possible - they might never NEED to make another one. So I'm all for anything that helps that running start run longer. Sounds like the game was developed under rocky situations, which I imagined when Matsumoto mentioned how he felt he had to "start over" for the PS4 version. Also interesting to see that the Japanese userbase has essentially skipped on the PC version, when, if we're to be honest, is going to be the version with legs. The reason so many stuck around for Fire Pro Wrestling Returns was because you could emulate it on PC, making the process of content creation and sharing that much easier. How many, even on this very forum, tried to update rosters and wrestlers between the decade of Returns and now World? It's easier than ever to do this with the new game, especially on PC, and especially with the community opening so much to the game. If the success of the game depends so much on the PS4 version, I really do worry. That but about launching on PC in Japan is so frustrating. It shouldn’t be this tiny game’s job to educate an entire market on how to play PC games. That’s always struck me as super strange, and it’s upsetting if people turned their noses up at it because of its PC release. I understand his frustration that most of the player base is foreign. I wish he’d take it as a badge of honor and a victory that he has opened up a whole new audience, but I get it. Everyone in Japan I spoke with said the same thing: most people don't have PCs in their home. The average family owns smartphones, and maybe a tablet. "Even if you have a PC at your house, you're more likely to use some sort of tax program or write your New Years cards on it," Salazar said. Zach Huntley, who runs a small publishing support company in Japan called Kakehashi Games, said that teens and those in the 20-40 age bracket often have laptops, but that laptop is more than likely a MacBook, or is meant for business, not gaming. "This very small band of people have laptops, and this very, very small band of people have desktop PCs that are capable of playing 3D games. The thing is that those people who do have the desktop PCs and play on Steam, they have it specifically because they want to play western games. People aren't building super desktop PCs to play a 3D Japanese game, necessarily, on Steam. If they want to play Dark Souls 3, they're going to play it on PS4. They're building their PC rig specifically because they want to play the cool western stuff that's not coming out on any other platform." A few years ago, buying games on Steam [in Japan] was an insanely elaborate process: 'buying' the game online, taking an email verification code to a convenience store, entering that code into a touchscreen kiosk to print out a receipt, taking that receipt to the cashier, and paying. Then you could walk home and download your game. Imagine going through that much effort every time you wanted to buy a game on Steam. Now there's a much better option—7-Elevens and other stores carry Steam wallet cards, alongside the stacks of points cards for mobile games, iTunes, and Google Play. But you still have to go to the store to stock up on digital currency. Fire Pro World is a gift. I agree with Geese it certainly isn't polished. Hopefully they polish it up a bit before the development ends. At that point it the best thing they could do for us would be to release the source code for the game under a non-commercial license like Freespace 2 back in the day. The Freespace source code project updated that thing for years allowing mods and completely new games. If they released the source code so that development could continue in the community then we could really go beyond just mods, but a game that lived forever. I was gonna pass on the PS4 version for now, but after this interview I’m pre-ordering a physical copy. This is probably the end of the line for Fire Pro even if we do support it, but I buy the deluxe edition of WWE 2K every year just to get a wrestling game fix I can justify supporting Fire Pro on 2 platforms. This is one time where I feel strongly about spending full price on a product to support it.